Here I will explain how to use richtextbox and how we can save our richtextbox data in database and how we can retrieve and display saved richtextbox data into our application using asp.net. <asp:Button ID="btnSubmit" runat="server" OnClientClick="return validate()"
Now our richtextbox is ready do you know how we can save richtextbox data into database and which datatype is used to save richtextbox data and do you know how to display richtextbox on our web page no problem we can implement it now. A potentially dangerous Request.Form value was detected from the client (FreeTextBox1="sdsd"). You might want to add Server.HtmlEncode(freetextbox.Text) when saving to the database and Server.HtmlDecode() when retrieving. Otherwise a serious security problem exists. Subhash, you have to set ValidateRequest="false" on the @Page line, that opens the door to security problems but you should be ok if you use HtmlEncode/Decode. Thank u very much sir ..Ur Great..It helped me a lot..
this error is coming after giving ValidateRequest="false" in iis. thanks so lot dear. Its really so good and excellent. thanks again. Thank you very much for this article. It is simply good. Arguments are of the wrong type, are out of acceptable range, or are in conflict with one another. After enter the data that will store it in database.then how to edit the typed content? required validations not working either through jquery or through fieldvalidators. Folks will you pls help me I'm doing windowsform in that we are using saving data of richtextbox field in ".Rtf" format and i'm adding dataset required field to ".Rdlc" and showing it in reportViewer but Rtf format data is not working it showing same as it saving..?? What is the coading og Logout in aasp dot net using c#? How to create a rich tex in asp dot net using c#? I have the same probles as @kapuc. 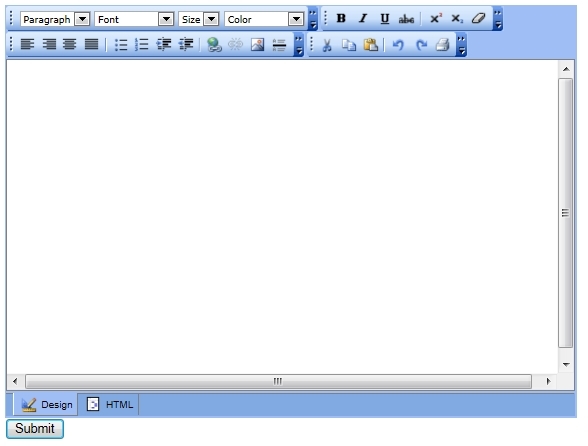 I am using FreeTextBox in my web application which is developed in asp.net 4.0. I have button under the free textbox.Button is working fine when there is no text in FreeTextBox,but if we enter any text inside FreeTextBox,button is not working. i have write ValidateRequest="false" in page directive but still i have problem with this code. A potentially dangerous Request.Form value was detected from the client (FreeTextBox1="<font face="Georgia"..."). how to disalble right click and Copy,paste options in free text box? i need to retrive image and data stored in dattabase and display it in textbox not in gridview what to use for it can help me please ? data is inserted using the freetextbox concept. How to auto enter data in all fields when we search any particular entry from the list. When we type some characters in search field if its relevant data is available in database then its details should appear in all the available fields. Help me out sir! thanks in advance! Server Error in '/WebRichText' Application. and use fonts color are error. A potentially dangerous Request.Form value was detected from the client (MainContent_FreeTextBox2="sf<font color="#FF1493..."). How Can I Implement With Jquery..
plz suggest me other free Editor bcoz this editor is conflict with my other Ajax control. Nice application .. You are genious. Thanks for really nice post. I can enter the richtext into the database but how can we display the text as a label in rich text format. A potentially dangerous Request.Form value was detected from the client (adminmaster_ftxtname="<font color="#000080..."). i.e because it get saved in temp folder of the system, I want to save it to my path. Hi suresh, this control is not working in ie 10 browser with document mode as standard. Hi suresh really nice work..
is there any validation for maxlenght? can any one suggest me how set max length of rich textbox? hello there, thanks for TB, how can I add more fonts, colors and other styles in it. I want to develop a form same as this, when i enter some text and submit text should be displayed in the same form above with same gap between each user text and date should be generated by default on the date user submits and when i receive it should display the date to user automatically. what are the best tools develop and code to be used and one more important thing is user/any one should be able to download the file as pdf file which he is submited please help. Error: A potentially dangerous Request.Form value was detected from the client (FreeTextBox1="<font color="#FF1493..."). I worked your applications. This works good. I implement this editor in my project Email send module. Body of textbox having this editor control. I formatting styles using this editor and bold, color,etc in textbox control characters. when i send email to customer email id then email will be received with html tags. how to avoid it and how to send email with formatting styles of text? I have used this RichTextBox control. Its working fine in Firefox but when I run this application in IE then getting below error. Can you please let me know the solution if you have any idea. Can we read the content with images in the word document and display in richtextbox in runtime? any one can help me to add dll file to in my project..
Hi, I have used free text box user control in visual web part in visual studio 2013,when i build the solution i got error like:The specified task executable "LC.exe" could not be run. The filename or extension is too long.Then from some blogs they told to delete the file :licenses.licx while building solution,so i deleted the file.But when i run the solution again i got the error like: "Could not load file or assembly 'FreeTextBox' or one of its dependencies. The system cannot find the file specified. "